There are many bikers that are injured or killed from either alcohol related accidents or mechanical failure but, many more that are seriously injured or die from driver error negligence. While safe riding techniques, proper equipment like helmets, gloves, boots, and protective clothing like leather jackets do help in reducing incidents, the fact remains that bikers are and will remain prone to collisions which causes closed head, traumatic brain injuries and other serious bodily harm. At Aiello, Harris, Marth, Tunnero &Schiffman, P.C. 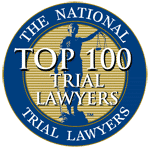 attorneys are experienced and competent in litigating on behalf of motorcycle accident victims and have the resources, willingness and ability to take the case to trial if necessary. Unsafe Lane Changes: The motorist changes lanes abruptly and collides with the motorcycle rider, who doesn’t have time to react or has nowhere to escape. Left Hand Turns In Front of Bikes: This occurs in and around intersections especially on busy urban streets with multiple directions of travel and middle turn lanes. Cars pulling out of side streets and parking lots and into the path of the motorcycle rider: This occurs when a car, truck or SUV fails to observe an oncoming motorcycle, pulls out in front, and causes a broadside collision or the biker to swerve and lose control trying to avoid impact. Basically, motorcycle collisions come down to one factor, namely, the disparity in size between the motorbike and rider and other, larger vehicles. This smaller size leads to lack of notice and miscalculations by motor vehicle operators as to speed and distance. Protective gear like helmets, leather riding wear and gloves can help but, most often motorcycle accidents result in serious bodily harm including skull, spine, elbow, arm, leg and wrist fractures; tears to major tendons and ligaments including knees and ankles and significant soft tissue damage including herniated discs in the neck and back. Remain calm and take deep breaths. Record the Time, date, location of accident, names and driver’s license of others involved, witnesses, etc. Be careful what you say. Make statements to law officials only at the scene. Do not speak to the representative of the other person’s insurance company if you intend to retain a lawyer. Call a Motorcycle Accident Attorney. See a doctor to obtain treatment if you are injured. The average person doesn’t know how to properly evaluate their claim and needs help to achieve the best result. On the other hand the insurance company knows everything. A motorcycle accident attorney can level the playing field. Damage to my bike and personal items, (i.e.) helmet, gloves, pants, shirt, etc. Payment of all medical bills and consideration of any future medical bills. Payment of all lost of wages, including overtime, and other benefits plus consideration of future loss of earnings. 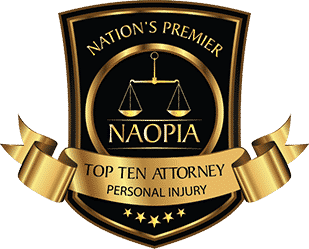 Compensation for pain and suffering – this area of the claim doesn’t follow a formula. 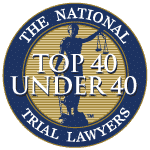 It takes years of experience to determine a fair amount and only then all factors of the case are considered, including scarring, residual symptoms and permanent disability. This is the area where our attorneys are most valuable. After attorneys know the answers to all the above questions, then, and only then, can we put a value on a case. For example, until we know how long you are going to be off work, our attorneys can’t assign a value for wage losses. Motorcycle Accident injuries are oftentimes more severe and more often than not involve head injuries like concussions and other “closed head” injuries. An experienced motorcycle lawyer will be able to ask the right questions and consult with the proper medical professionals such as Neurologists and Orthopedists to determine the full extent of the injuries so that the case is not settled with all present and future medical expenses being accounted. The dynamics of a motorcycle accident case are often hard to recreate. 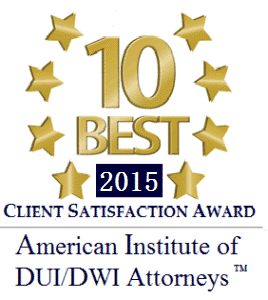 A quality motorcycle lawyer will hire experts, if necessary, to reconstruct the accident. The attorneys will make arrangements to interview witnesses, take photographs of all visible injury, property damage (bike and personal clothing) and the accident scene. For many reasons, it is important to hire, specifically, a motorcycle accident attorney – one who understands the dynamics of motorcycle accidents and the people who ride motorcycles, including sport bikes and super bikes. Should I talk to Insurance Companies about my accident? You should talk to your insurance company because you have a contractual duty. However, before you talk to your insurance company, you may want to consult a personal injury attorney. Never speak to the insurance company representing the other person if you intend to engage an attorney. Talk to us first. To do otherwise could be a severe mistake. Insurance carriers often try to take advantage of bikers and label them as careless or reckless, based solely on their decision to travel on two wheels. We all know that this is a fallacy. Even the most reasonable and careful motorcyclist cannot always guard against negligence and other dangers found on the road. As New Jersey motorcycle accident lawyers, we regularly represent the interests of victims who have been treated unfairly by an insurance company. Whether you are the motorcycle rider or the driver, Aiello, Harris, Marth, Tunnero &Schiffman, P.C., is committed to handling your injury claim and advancing the case into litigation if the insurance carrier refuses to evaluate the claim in a fair and prudent manner. We aggressively litigate cases with the intent to hold negligent drivers responsible for the carelessness of inattentive driving. The impact of this negligence is even more evident in cases involving motorcycles, which is why Aiello, Harris, Marth, Tunnero &Schiffman, P.C. 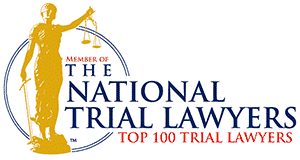 are dedicated to zealously represent the motorcycle accident victims. Call us today and we will be more than happy to answer your questions and address your concerns. Our personal injury attorneys keep flexible office hours, with weekend appointments available, and we can meet you in your home or hospital room if you cannot travel to our office. We handle most personal injury claims on a contingency-fee basis, so you do not pay us until we recover damages for you. Call us today, we’re standing by to assist you at (908) 561-5577 or contact us online. We will come to you or you can schedule an appointment at one of our offices in Woodbridge, Watchung or Lyndhurst NJ.